The California Department of Justice (CADOJ) is ending its practice of holding meetings in ways that impede the public's ability to meaningfully participate in oversight of the state's sprawling network of police databases. The new reforms, announced in response to EFF advocacy, will allow greater opportunity for Californians to review and comment on policy changes that impact their privacy and civil liberties. 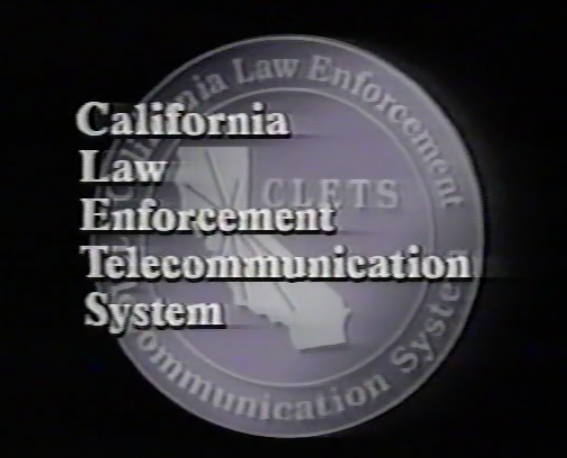 For more than a year, EFF has been closely watching the work of a public body tasked with overseeing the network, the California Law Enforcement Telecommunications System (CLETS). The little-known subdivision of the CADOJ—the CLETS Advisory Committee (CAC)—quietly approved a goal in the winter of 2014 to apply facial recognition to the state’s driver license photo database and share all those photos with law enforcement agencies nationwide. EFF didn’t learn about this until after the fact due to a tricky meeting structure and vague agenda that obscured the nature of the discussions. As soon as we heard about it, though, we sprung into action. EFF mobilized more than 1,500 grassroots privacy advocates to send emails opposing the plan, which the California Department of Motor Vehicles argued was illegal. The campaign was successful; the committee withdrew the policy at its next meeting. The problem was bigger than facial recognition, however. The committee continued to contemplate a number of other proposals, including expanded biometric data collections and GPS tracking of offenders, without much public input. We wanted to ensure that this committee could not pass privacy invasive proposals again without public input. To be clear: CAC always had a public comment section. But the body made it nearly impossible for the public to know in advance what would be discussed and voted on at the meeting. Here’s how they ducked public scrutiny: CAC created a second body, the Standing Strategic Planning Subcommittee (SSPS). Once a quarter, SSPS would meet in the morning, pass recommendations, and then in the afternoon CAC would finalize those recommendations. Because the agendas of both committees were so vague, SSPS could essentially propose anything in the world in the morning, leaving the public only two hours to formulate a response before the proposal would be formally approved after lunch. We think these important debates require more advance notice and public involvement. EFF joined the ACLU of California, Californians Aware, and the First Amendment Coalition in a letter to the committee arguing that the meeting structure and poorly articulated agendas violated the Bagley-Keene Open Meeting Act, as well as the Attorney General’s own guidelines. Both the Act and guidelines are designed to provide the public with real opportunities to understand and comment on proposals that go before the committee. At first, CAC rebuked our concerns, spending all of two minutes discussing it during open session. The chair claimed that it was more convenient for both committees to meet back-to-back on the same day, while the lawyer advising the committee said on record that no Bagley-Keene violation had occurred. All hearings are now recorded, with the audio files posted online. CADOJ is investigating possibilities of transcribing the recordings. Public meetings will no longer meet on the same day and instead will be staggered, with several months in between CAC and SSPS sessions. CADOJ will begin creating detailed agendas for each body. We thank the CADOJ for responding to our concerns and believe that these changes will help the public learn about future changes to CLETS and allow more meaningful comment on them. Unfortunately, these changes came a bit too late. Despite the concerns our transparency coalition raised, CAC and SSPS rammed through its 2015 Strategic Plan using the same dubious streamlined system, including expanded biometric collection and GPS monitoring plans. Nevertheless, these reforms are a positive step, especially as CAC undergoes a leadership change. Over the course of 2016, we hope the new chair reopens the 2015 Strategic Plan for discussion. In addition, our concerns still stand over how CAC deals with (or has so far failed to deal with) the rising number of reported cases of misuse of CLETS, despite a clear mandate from the legislature to ensure discipline over the system. With increased public involvement and accountability, the system will work better not only law enforcement but the communities that they are sworn to serve.